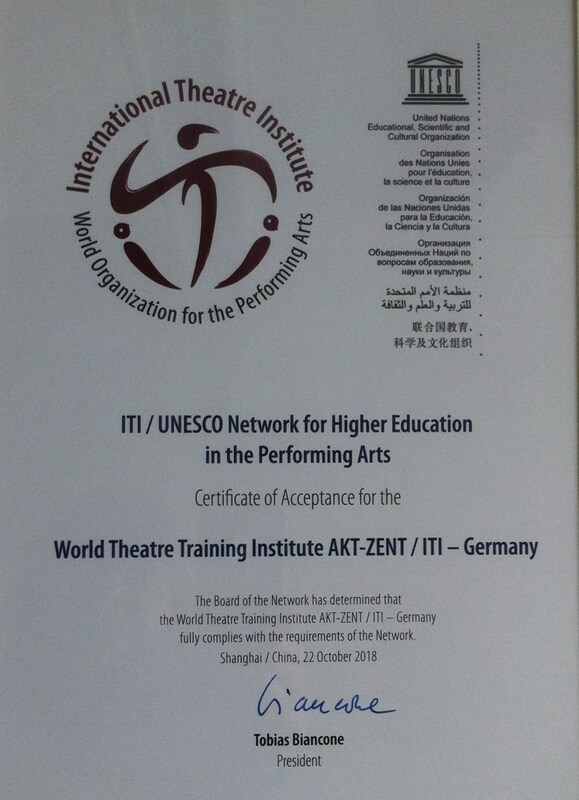 After an intensive and successful conference in Shanghai, Dr. Jurij Alschitz and Christine Schmalor return with the certicate of membership of the WTTI in the ITI/UNESCO Network for Higher Education in the Performing Arts. Christine Schmalor is elected board member. We are looking forward to intensive collaborations with the different academies and universities from around 30 countries.